In May we'll be learning a new (old) song, Thy Mercy My God. 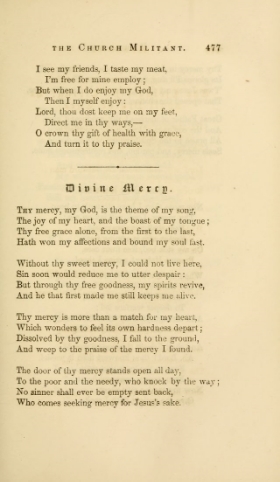 The old song was written by John Stocker in 1776. It is a testimony to God's covenant love for his people through Christ, and a powerful reminder of his unyielding mercy. The new tune is by Sandra McCracken (listen below).